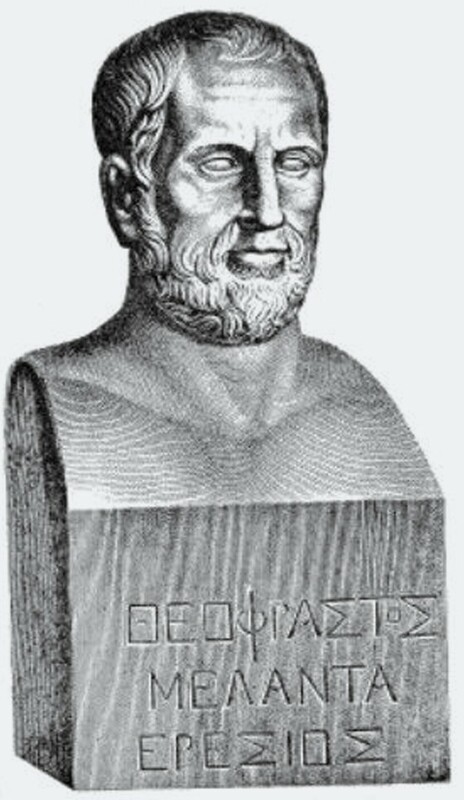 The Greek philosopher and naturalist Theophrastos of Eresos (370-287 BC) was on the island Lesbos born. The student of Aristotle (384-322 BC) is considered the first naturalist who in his writings "Natural History of the plants" (Historia Plantarum, Causae Plantarum) with the most important areas of botany like physiology and morphology employed the plants and one taxonomy (Plant systematics) created. Among the numerous plants, the vine is also treated, with special emphasis on the right choice of location with the necessary coordination of vine. ground and climate pointed and one vegetative propagation from grapevines cuttings and Absenker recommended. The meaning of today's concept was already obvious then terroir deliberately. This page was last modified at 15 January 2019 at 15:51.